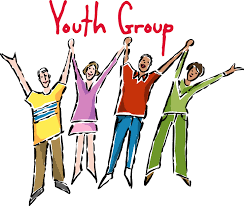 All children in grades 6-8 are invited to join to our Edge Youth Group at Our Lady of Grace Church, in Lynett Hall (15347 Yonge Street, Aurora), which is usually every second Friday. We will have first Edge social night this Friday, November 2 from 6:30-8pm. For more information on this and other nights please see attached schedule. If you have children in high school, we have another youth group for them, Life Teen which meets every second Monday or so from 6:30-8:30pm at Lynett Hall. You may find more information in the attached schedule and registration form. Parents and teachers can help by sharing their time and talents in helping with the gr. 6-8 and teens. Please contact Father Marijan Sisko for more information and to obtain a registration form. There is also a Young Adult Group for ages 18-39 that usually meets every two Sundays from 4-6pm. This Sunday there will be a movie and delicious crepes with Nutella. A Bible Study has started on Tuesdays from 7-9 at Lynett Hall. The study is named, Unlocking the Mystery of the Bible. This Bible study offers us a big picture of the Bible. You may still register and participate until December 2018.